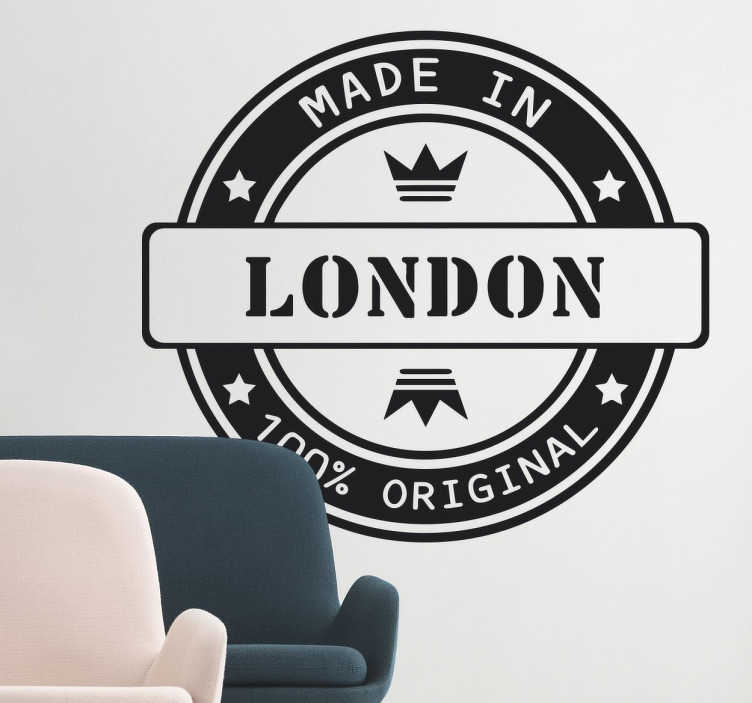 If you have a connection to the city of London or all things British, let your home reflect it with this stylish monochrome stamp style decorative wall sticker. Featuring the text "Made in London 100% original" with two crowns, show that originality in any room in your home. Available in a variety of sizes, this sticker can also be applied outdoors, including to glass or onto cars!